School of Management, Mae Fah Luang University| The PATA Chiangrai Chapter conducted a seminar “ Quality or Quantity? What is best for Chiangrai people " on January 25, 2019 at the Heritage hotel Chiangrai . 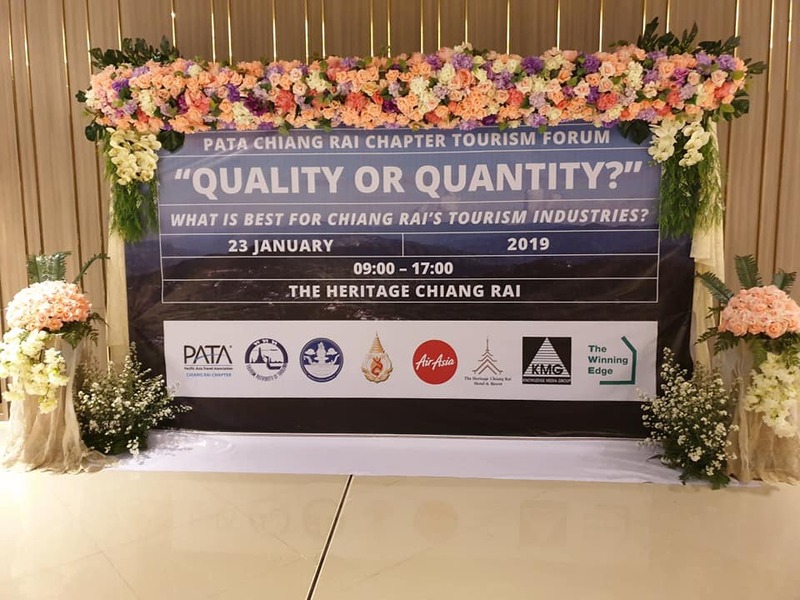 The PATA Chiangrai Chapter conducted a seminar “ Quality or Quantity? What is best for Chiangrai people " on January 25, 2019 at the Heritage hotel Chiangrai . 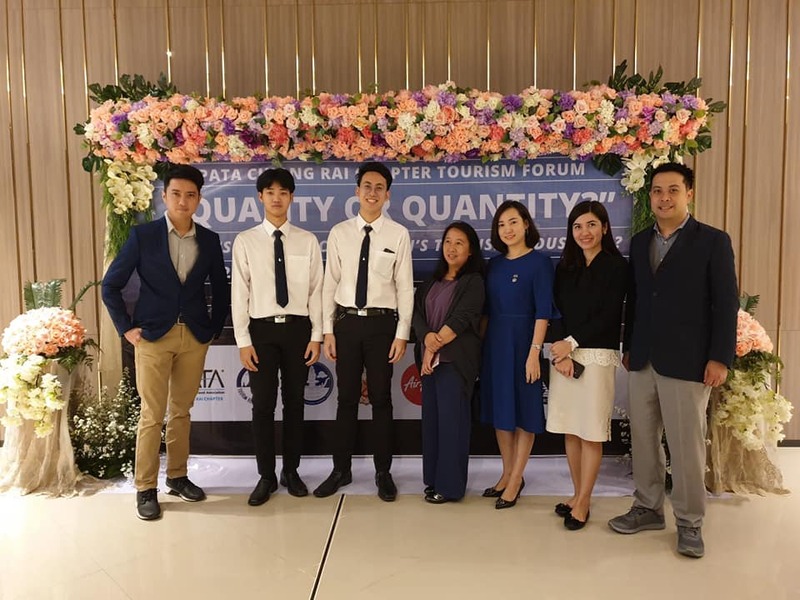 The PATA Chiangrai Chapter conducted a seminar “ Quality or Quantity? 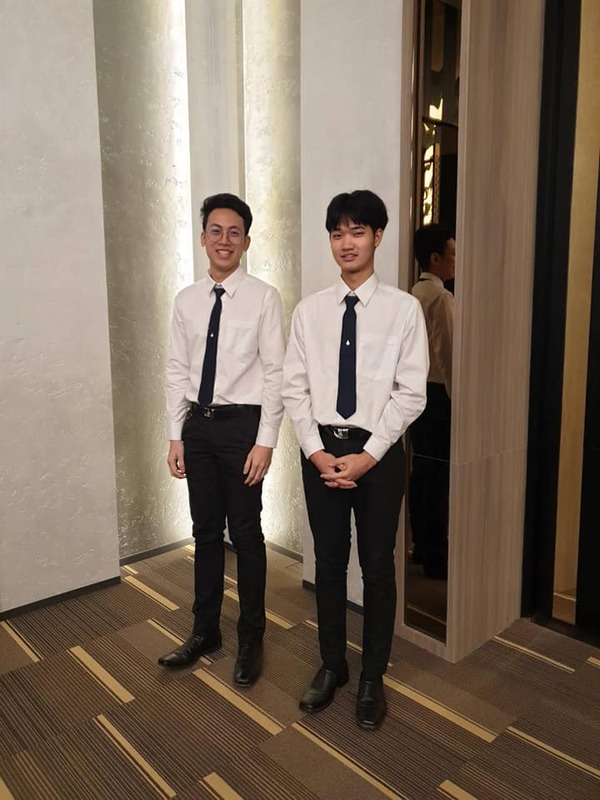 What is best for Chiangrai people " on January 25, 2019 at the Heritage hotel Chiangrai . 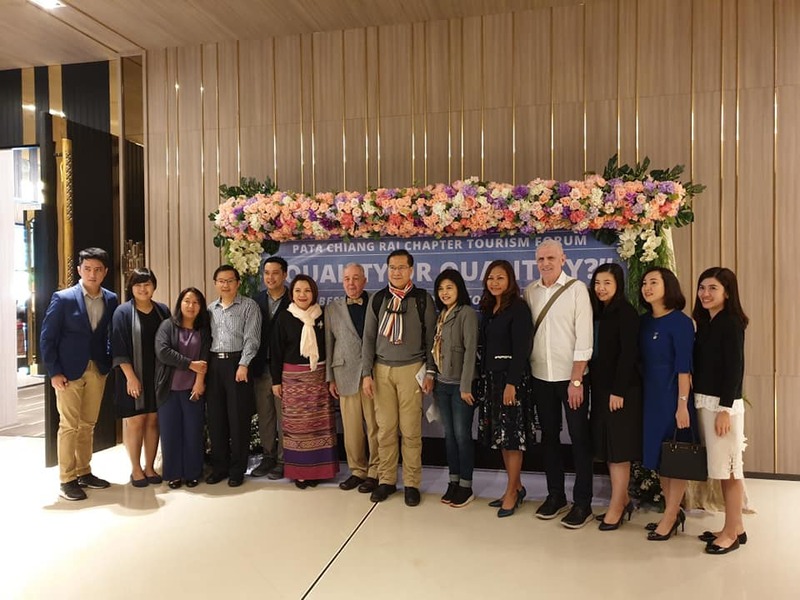 The aim of the seminar was to raise awareness amongst tourism stakeholders to have a better understanding of the tourism industry and ways of destination marketing and management (DMMO) especially on the carrying capacity management and sustaining Chiangrai as a quality destination. H.E Weerasak Kowsurat was the keynote speaker who inspired everyone to be a good host by doing "beyond our duty "and aim on happiness and benefits towards both guests ( travellers) and hosts ( local residents , local businesses and mankind). 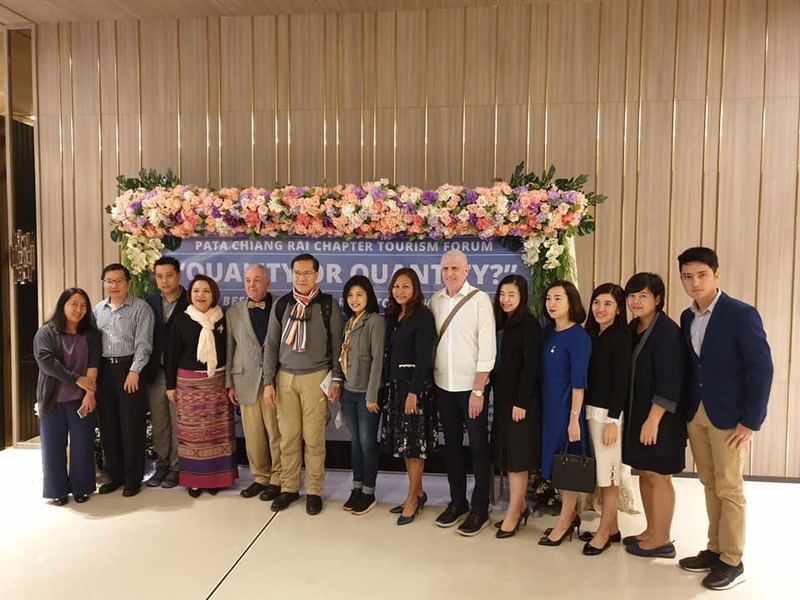 There were other experts from academics, governments and industries who participated in this event to share their viewpoints in sustainability and way forward for Chiang Rai. 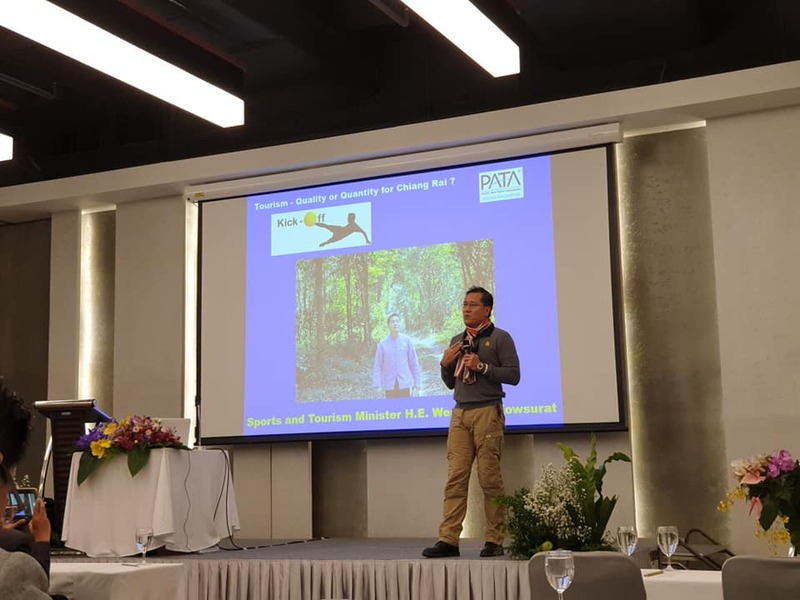 The seminar was initiated by Dr. Bert Van Walbeek , the former PATA Thailand Chapter Chairman and now is a senior lecturer of Mae Fah Luang University. Mae Fah Luang University as an official member of PATA sponsored manpower for this event including the speaker and staff. A total of 100 people participated in the seminar and is considered a great kick-off event for the Chiangrai people.